The Moscow representative office of AO Metallotorg is focused on the quality supply of metal products to consumers in the Central Federal District, which is distinguished by a high concentration of various types of production. That is why the Moscow steel and metal warehouse is one of the largest. 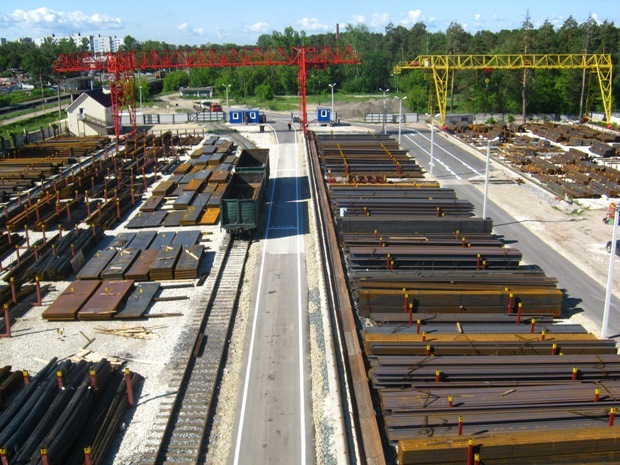 In June 2006, the first metal products delivery from a new metal warehouse of the Company to the village of Stolbovaya, Chekhovsky District was carried out. 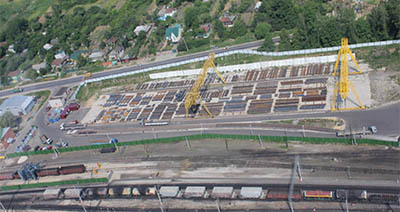 Works of restoring the infrastructure of the industrial zone of the former steel plant began in September 2005. Now the territory has acquired the form of a civilized and modern metal service center, where all services for loading, cutting, packing and straightening metal are presented. 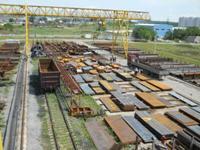 On June 1, 2004 Steel and metal warehouse began working in Elektrougli. This warehouse has a good car access from Gorky, Nosovihinsky and Egoryevskoye highways. 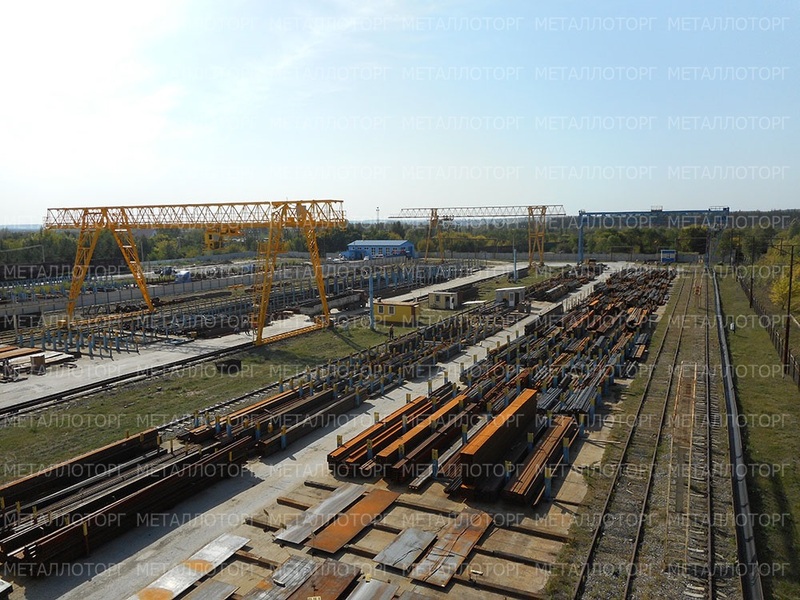 Belgorod branch Metallotorg was created in November 1999. on the basis of a wholesale warehouse, located 30 km from the city. Since August 2006, the Bryansk branch of the Metallotorg company began its history. 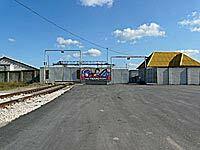 The service metal center is located in the village of Bolshaoye Polpino and has rail ways, as well as good access roads both from the central districts of Bryansk and from the Moscow highway, i.e. entry into the city. We managed to create a metal warehouse on a practically deserted industrial area that was well-groomed and convenient for the customer delivery, which meets all the principles of civilized warehouse trade. Since June 2010, a branch in North Ossetia - Alania, in the city of Vladikavkaz, at 72 Telmann Street, began its operations. 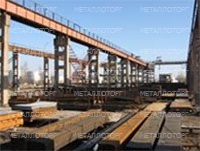 Steel and metal warehouse is an open area with a through passage, a high-speed bridge crane, a railway line for receiving wagons. In June 2004 opened a branch in the city of Vladimir. Office and warehouse are located on the Skladskaya street, 2. (In the area of the market "Flora"). The warehouse began its work on February 20, 2005. The warehouse has a full range of metal:rebar, sheet, round bar, channel, beam, angle bar, corrugated sheet deck, strip, wire, pipes, corrugated sheet, etc. In the office, sales managers will always answer customer questions and help you contact managers in other branches, depending on which city you want to buy rolled-stock. November 14, 2005, the Volgograd branch began its work. The first delivery took place on November 23. 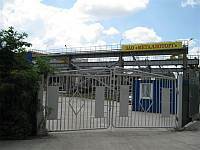 At the end of February 1999, on the right bank of the Voronezh reservoir, in the center of the city, on the territory of the Voronezh Excavating Manufacture Plant, the doors of the Voronezh branch of Metallotorg opened for the first time. The branch started working as a part of three people and already in the first days of March the first delivery of rolled metal products to the client was made. 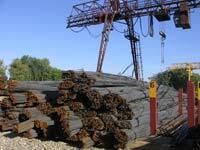 Kazan metal warehouse is selling rolled stock products and pipes at retail and wholesale. We sell steel round bars of steel grades 3, 45, 20, 35 from 12mm to 50mm, from 52mm to 100mm, from 102mm to 150mm, from 155mm to 200mm. 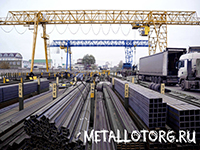 The Kaluga branch of the Russian company Metallotorg was founded on January 9, 1999. For all the time of the branch operation, delivery was made from the rented metal warehouse of OAO Kalugaagrosnab. An office was also rented on the same territory. With the growth in sales, the rented warehouse ceased to meet our requirements, and it was decided to build our own metal warehouse with a larger area. In May 2005, another branch opened in Krasnodar. At the time of its establishment, the branch has six office and warehouse employees, but we continue to recruit managers and other employees. 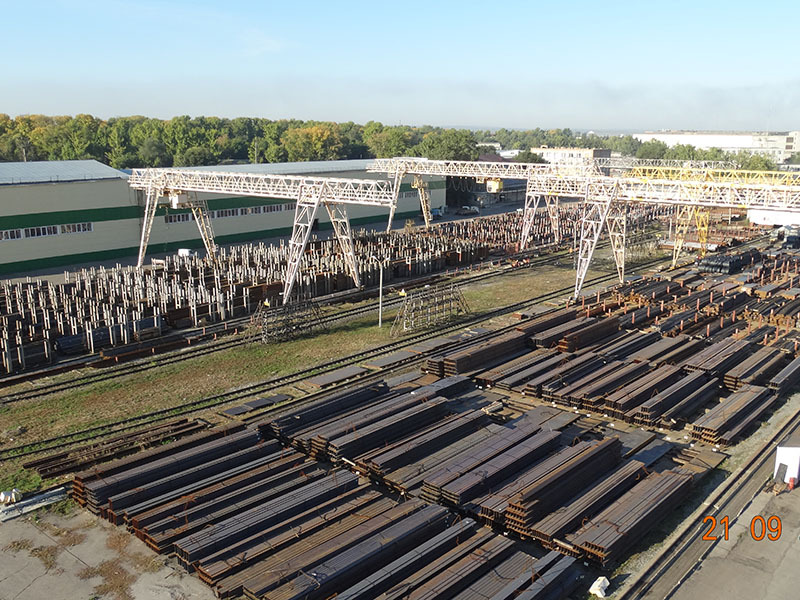 Since our steel and metal warehouse in Krasnodar did not meet the needs of our customers in the timeliness of delivery and the breadth of the range of rolled metal products, it was decided to look for a site for steel and metal warehouse. 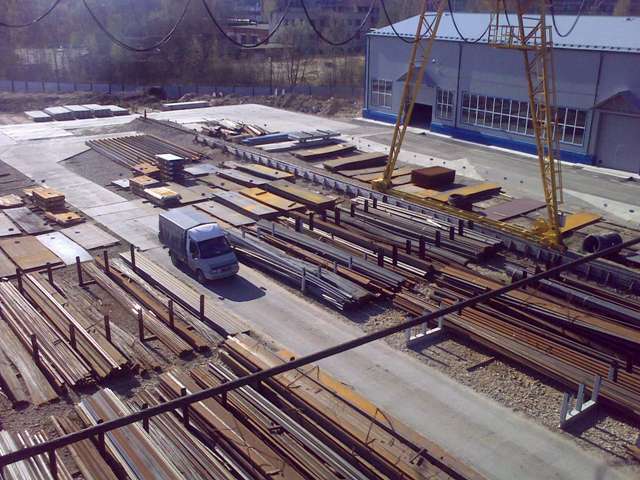 Steel and metal warehouse in Kursk began its work in November 2006 on a leased site located on the territory of AO "Kurskagropromtekhnika" at the street Magistralniy proezd 34k. 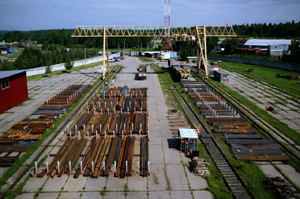 Metal warehouse in Lipetsk, located on the outskirts of the city, began its work not very long ago on May 13, 2002. The first shipment was made on May 31, 2002. Metal on this warehouse is stored in specially prepared racks. Cellular accounting of metal allows you to avoid problems with the transfer of goods, and also provides fast shipping of metal to customers. 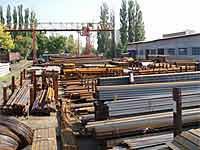 Steel and metal warehouse is located on the outskirts of the city of Nalchik, 8 km from the federal highway M-29 “Kavkaz”, in the middle of the road between the steel and metal warehouses of Pyatigorsk and Vladikavkaz. 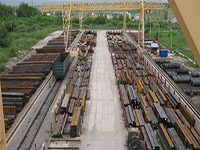 The branch line suitable for the warehouse of metal-rolls provides simultaneous reception of up to 5 railcars (gondola cars), fast and convenient unloading of metal-rolls. Since its foundation in 1998, the Nizhny Novgorod branch has experienced many relocations, due to the need to improve service culture and faster customer shipping. Only in October 2002 metal warehouse finally settled on the street Vyaznikovskaya, 3-A. (the territory of OAO Metallotorg). From the beginning of its formation at the Nizhniy Novgorod metal warehouse, only a few hundred tons of metal were located. 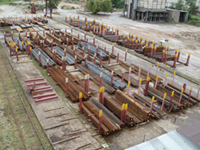 Now it is capable of holding up to 6-7 thousand tons of flat and high-quality steel long products. The warehouse is Read more modernized, the number of rolled metal products has increased many times, the quality of shipment has improved. With the expansion of the office, the number of employees has increased, the material and technical warehouse has improved. 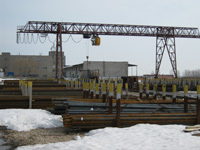 Since March 2009, the Novocherkassk branch of the company began its history. "Metallotorg". The most diverse customers are buying the metal from warehouse in Orel. 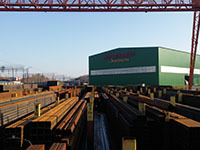 The branch of AO Metallotorg in Orel was created among the first in June 1996. at the Khim-Tekstilmash plant, where the office and warehouse were located. Initially, no Read more than 25 tons of metal were stored in the warehouse. Since its establishment, the branch has gone through three relocations (Zhivmash plant, then Promtekhmontazh), associated with finding the most convenient place to work with clients. 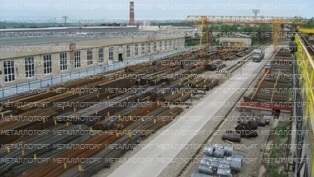 The first mention of the Penza branch of Metallotorg is dated 1996 year. Initially, the office and warehouse were geographically separated. This created some inconvenience when working with clients, and it was decided to locate the office and warehouse in the same area. So in 1998 Metallotorg moved to the warehouse "Korona". The warehouse was located on the site under a 10-ton gantry crane working on three organizations, the result of this: constant customer queuing for loading This factor was fundamental in the decision to purchase their own warehouse space. Since October 2008, in the territory of the oldest enterprise of the region - Pyatigorskselmash ZAO, a new branch of Metallotorg has opened. 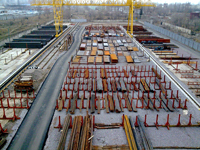 Steel and metal warehouse Metallotorg Company in Rostov began working in May 2000. At the time of its establishment, the branch consisted of six office and warehouse employees. 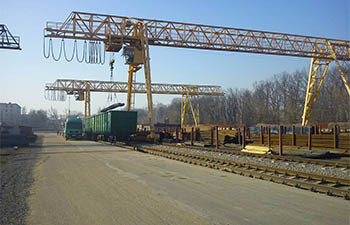 At this time, the warehouse site of the branch was located 30 km away from Rostov, in the town of Bataysk on the territory of the North Caucasus Railways Depot, then moved to Batayskmetallopttorg. The territorial remoteness of the warehouse and office greatly influenced the quality of service of the continuously growing number of customers. 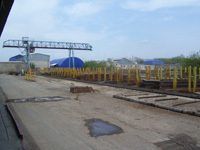 Therefore, in September 2002, metal warehouse moved to Rostov. In December 2016, a branch of our company opened in Ryazan. This city extends on the right bank of the Oka River. The city of Ryazan is the administrative center of the Ryazan region, one of the ring of the largest cities in Russia, which are located 150 - 200 km from the capital, Ryazan - 180 km from Moscow. 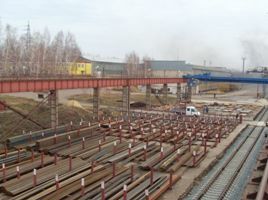 From the beginning of 2012, the branch of the company AO Metallotorg in the city of Samara, Zubchaninovskoe Highway 130, began its work. The office and warehouse are located on the territory of the former UMK warehouse. The warehouse has convenient access roads both from the federal highway M5 and from the city. 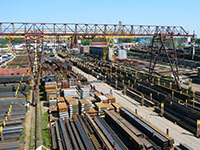 Steel and metal warehouse in St. Petersburg began working in August 2001. Until September 2002, they worked at the leased site in the industrial zone. From December 2009 opened its work branch in Saransk. The warehouse is conveniently located within the city, not far from the federal highway Ulyanovsk-Moscow. 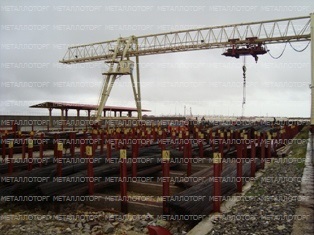 The Saratov branch of the Metallotorg Company began its work in August 1999. Initially, the office and warehouse were geographically separated: the office was located in the city of Saratov, and the warehouse was located in the industrial zone of the city of Engels (in the leased area). The fact of the remoteness of the office from the warehouse created some inconvenience when working with customers, and it was decided to place the metal warehouse on the same territory. Since January 2011, a branch in Sergiev Posad has started its activities, at Yaroslavskoe Highway, 4B, office 214. And since August 2012, we opened a metal warehouse on the outskirts of the city, on the Moscow Large Ring (beltway road around Moscow also known as Big Betonka). 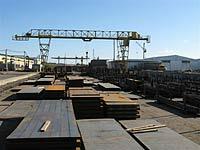 Steel and metal warehouse has an open area, gantry crane and convenient access autotrucks. 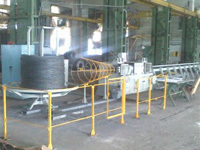 At first we were not going to open a metal warehouse in Stavropol, but still for plenty of years, AO Metallotorg offers from a warehouse in Stavropol branch angle bars, channels, A3 rebars, A 500 rebars, wire rod, BP wire and anealed wire, wire mesh, square, strip , square pipes, profile pipe, electric-welded pipe and water and gas pipe, and also cold-rolled steel sheet and galvanized rolled stock. The branch of AO Metallotorg in the city of Stary Oskol was opened in October 2012. He became the third representative office of Metallotorg in the Belgorod region. 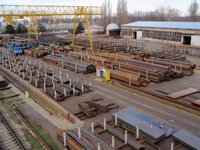 The branch in Stary Oskol is focused on meeting the need for rolled metal products in Stary Oskol and the Stary Oskol district, Gubkin, and the adjacent areas of the Belgorod, Voronezh and Kursk regions. Since April 2012, the branch in the city of Syzran began its operations, at Mayakovskogo st., 13 (Kashpir station district). Our managers have trade education and will be able to give the qualified answer to any questions from customers. March 1, 2005 was founded by the Tver branch of the Russian company Metallotorg. At the moment, the work of the branch is shipped from the leased warehouse located at: Tver Volokolamskoe highway 47a (territory "Tveagrosnabkomplekt"). Metal warehouse is located in the city of Tver on the Volokolamsk Highway, way to it can be carried out both from the city and from the ring road (Moscow-Saint-Petersburg highway). Storage area for storage and shipment of ferrous metal is open. 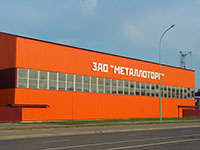 The Tula branch of the Russian company Metallotorg was founded on April 15, 1996. 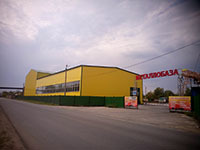 For all the time of the branch, the shipment is made from its own warehouse located at: Shchekino, st. Decabristov, 45. Metal warehouse is located 20 km from Tula, which can be reached from the center of Shchekino, as well as from Moscow and Kaluga, as well as from the direction Voronezh-Kursk-Orel-Belgorod. In the warehouses of our branch, the main assortment of metal is constantly maintained, which allows the consumer to save money and time by purchasing all the metal of interest from one warehouse. And although the office is not located in the same territory as the warehouse, for the convenience of our customers, it is possible not only to process documents immediately after loading, but also to pay the previously issued invoice directly at the warehouse. . 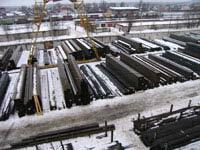 Constant clients that purchase rolled-stock in the city of Ulyanovsk and adjacent regions are familiar with the Ulyanovsk metal warehouse since 1968, located at the street Dovator, 1. Having undergone a number of transformations and reorganizations, and having passed the stage of privatization, the warehouse is renamed into OAO Metallotorgservis. Under this name, this enterprise in September 2001 is incorporated into the Metallotorg Company. In January 2017 A branch of AO Metallotorg was opened in Ufa. 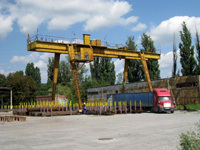 It is located at: st. Glazovskaya, 24, block 4 (former factory concrete products). The branch has good access roads from the R-240 highway (Ufa - Orenburg) and the M-5 highway (Moscow - Chelyabinsk). 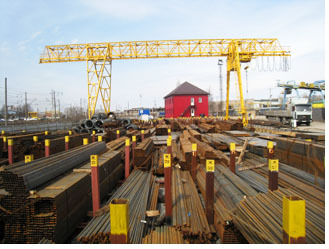 Steel and metal warehouse Ufa is located in the southern part of the city, in the Dema railway district (the Demsky railway junction and the large cargo station Dema are located here). From the beginning of 2011, the branch of the company AO Metallotorg in the city of Cheboksary, at Lapsarsky passage, 27, began its work. Office and treasure are located on the territory of the industrial zone SSC. Steel and metal warehouse has convenient access roads both from the M7 federal highway and from the city. The warehouse has its own railway line. The fortress city Orenburg was founded in 1735, the location of the fortress was shifted twice. He was then called Chkalov in the name of the famous pilot. The initial location was chosen by I.K. Novosibirsk was founded in 1893 and until 1926 bore the name - Novonikolaevsk. The city is located on both banks of the Ob River near the Novosibirsk reservoir formed by the dam of the Novosibirsk hydroelectric station.